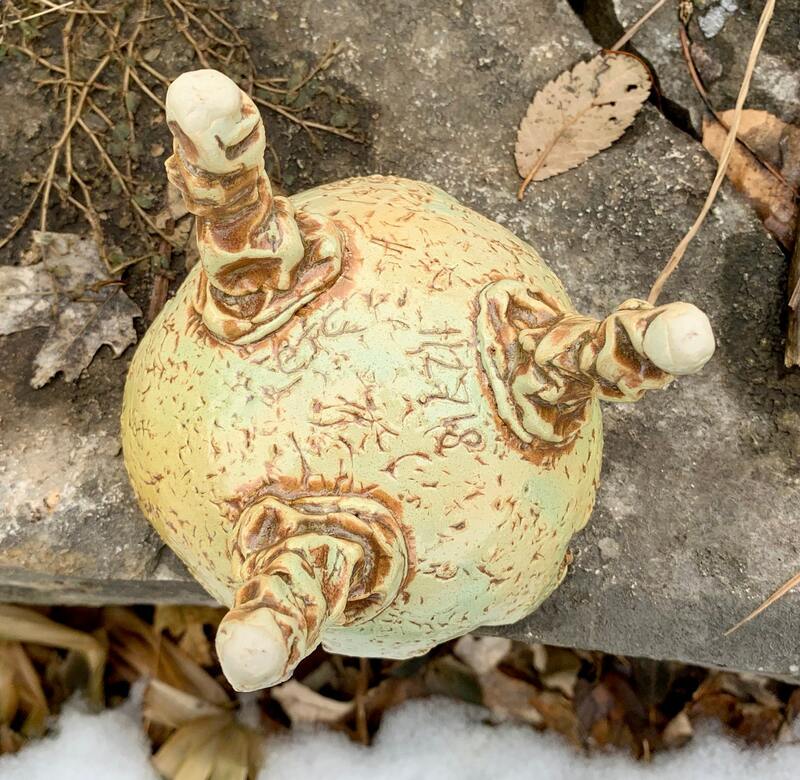 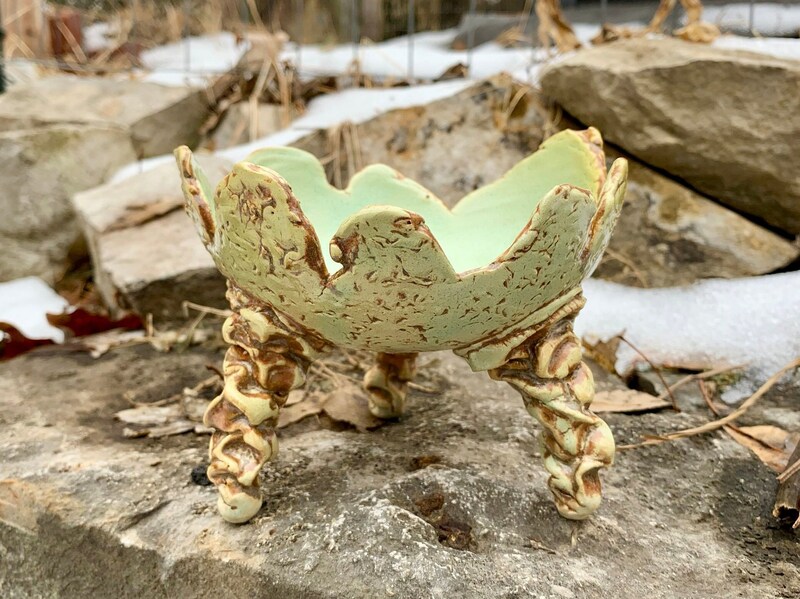 This is a white stoneware garlic grater and oil dipping bowl that is wheel thrown and altered, and assembled with natural textured exterior and hand built tripod feet. 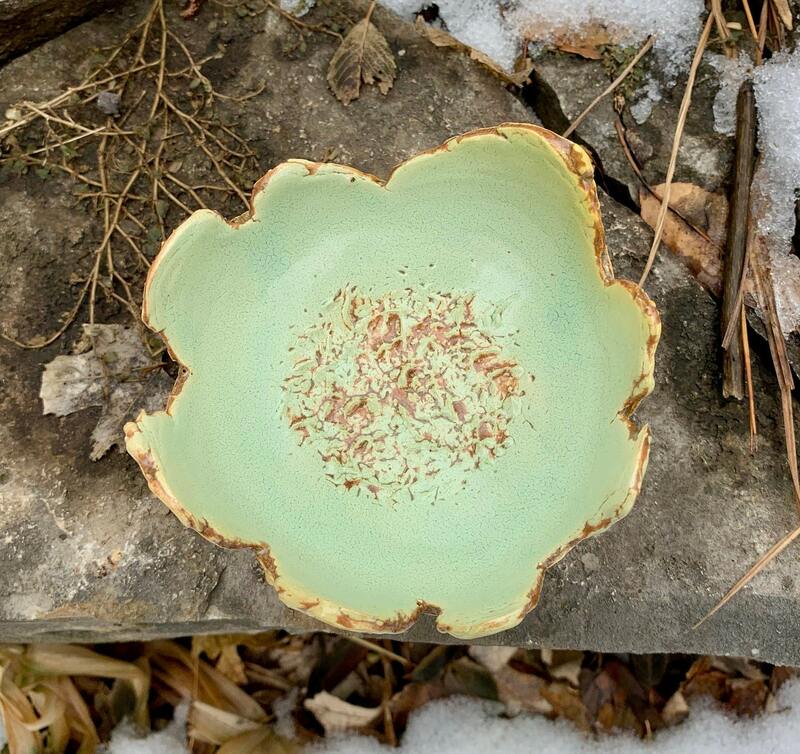 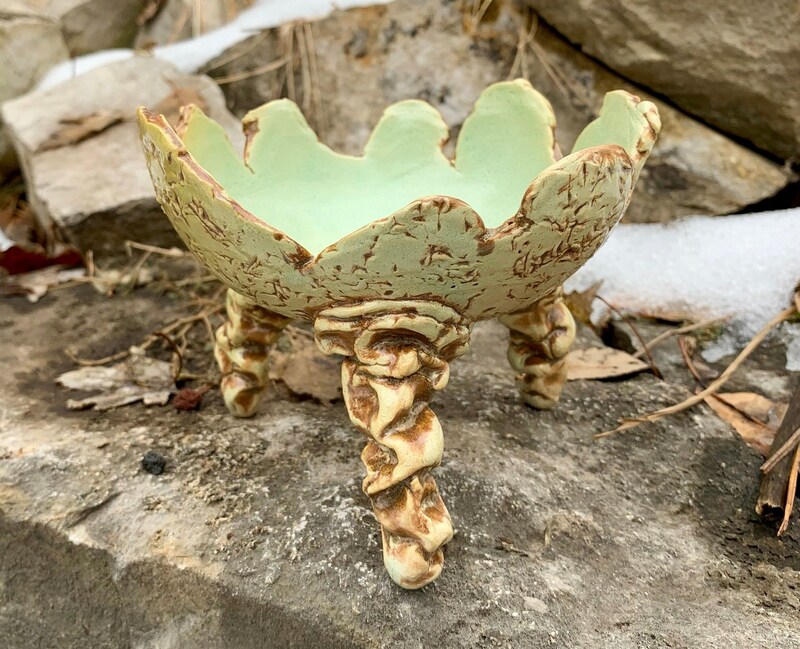 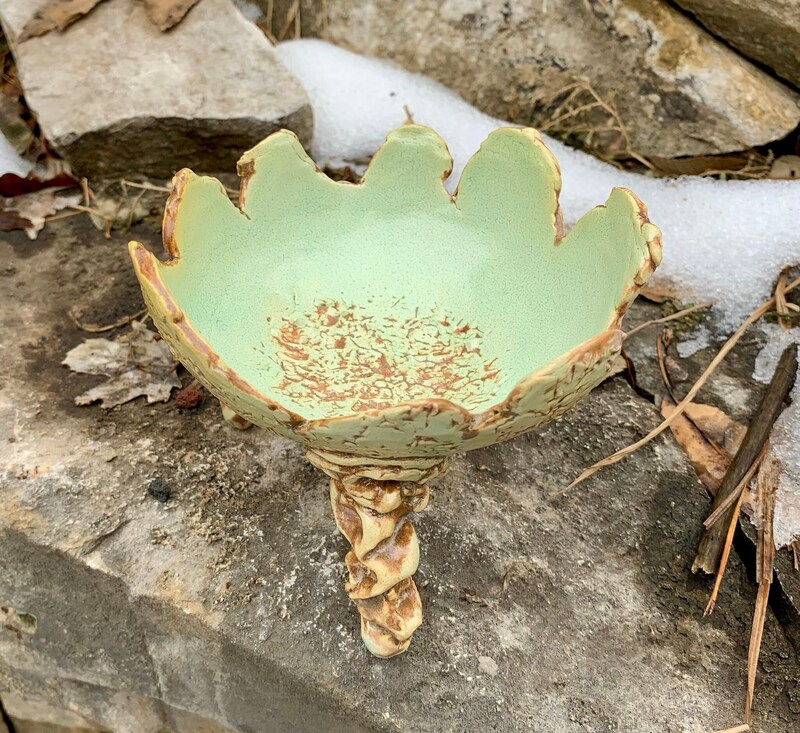 It is signed and dated, glazed in a satin melon green to yellow glaze with brown highlights, and electric fired to about 2170 degrees Fahrenheit. 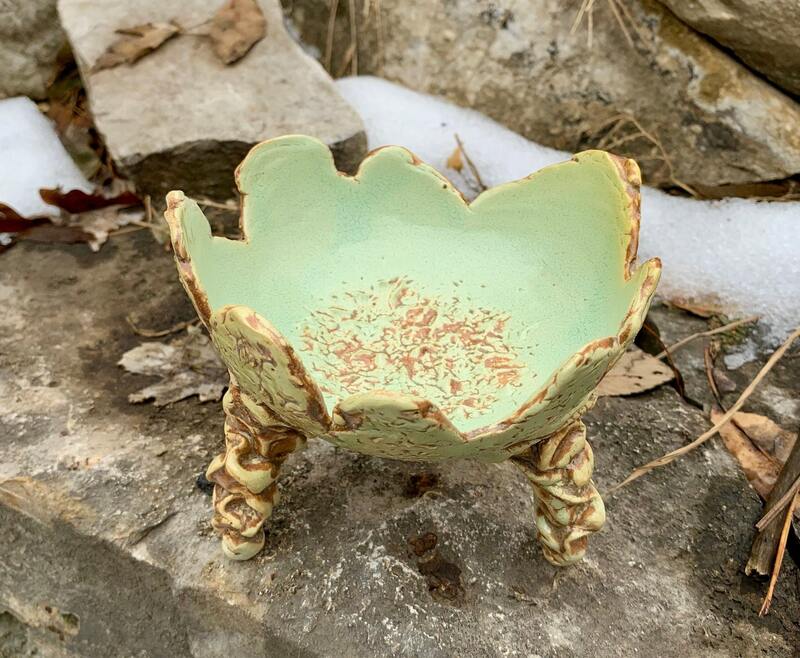 This piece measures approximately 4 inches tall and 5 inches wide at the widest point.